The solar system for kids is a very popular search and I know why! With three boys, I am always looking for new and fun ways to get the solar system knowledge into their little minds. I have literally spent hours upon hours trying to find GOOD resources for free solar system printables and interactive guides. Hopefully you find this list helpful! Free Solar System Printable – scaled printable coloring page! 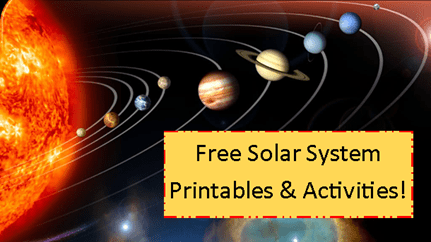 Build a Solar System – This neat page as TONS of Free Solar System Printables and activities including a Solar System Model Calculator! Simply enter the size you want to make your Sun and it tells you what size each of the planets needs to me. Cool, right? 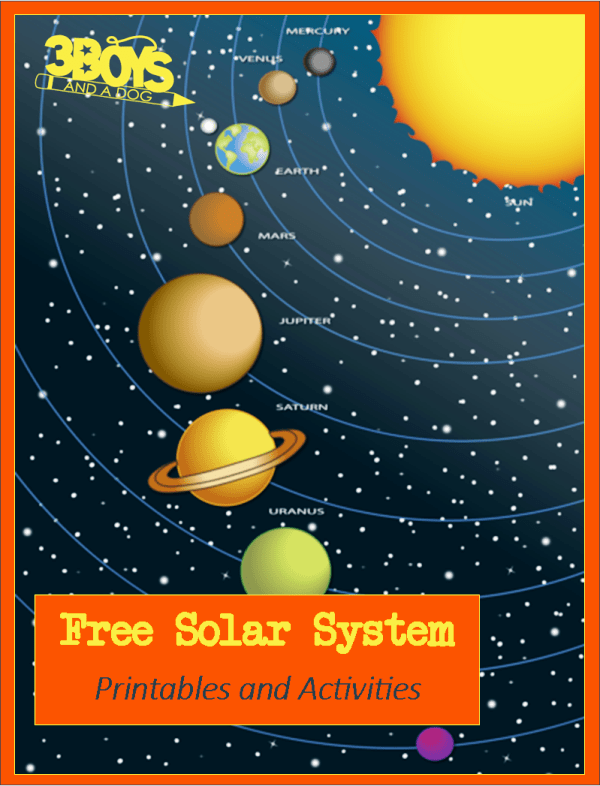 Free Solar System Materials – Tons of fun solar systems for kids printables! StarChild Project: Connecting NASA and the K12 Classroom – Cool on-line activities, information and video about the sun, planets, and stars. This one is a fun solar system activity for kids! Lunar and Planetary Institute – From Art Competitions to Explorer Series and Public Outreach – great site of free solar system printables and free solar system activities. This site is a WEALTH of information! Solar System Lesson Plans – Written by 2 First Grade teachers in Elizabeth Colorado, this Solar System lesson plan contains almost everything needed to teach your child in 9 easy lessons! Natural Beach Living has a great post on a Solar System Unit Theme Study – you can even use Oreos to show the moon phases! Neat! This post from Real Life at Home contains a free printable learning packet with eight pages of activities themed around our solar system. Learn about the planets in our solar system with this fun printable activity from Totschooling. Encouraging Moms at Home shows us how to teach our little ones all about the planets in our solar system with free printables and hand’s on learning activities. Can I use this picture for my sons birthday cake?